All videos of Vojvodina - Crvena Zvezda on your website! Vojvodina are playing Crvena Zvezda at the Super Liga, Championship round of Serbia on May 1. The match will kick off 14:00 UTC. Vojvodina are 8th in the table with 20 points after 33 matches, while Crvena Zvezda are the leaders with 48 points in 33 matches. Vojvodina have won 10 of their 33 matches in Super Liga, Championship round, drawing 9 and having 14 defeats this season. They have scored 25 goals - 0.76 per match, conceding 35 - 1.06 per match. Crvena Zvezda have won 29 of their 33 matches in Super Liga, Championship round, drawing 3 and having 1 defeat this season. They have scored 87 goals - 2.64 per match, conceding 20 - 0.61 per match. Goals and video highlights of the match between Vojvodina and Crvena Zvezda are being added in real time. We are adding the videos of the goals usually minutes after the actual event on the field. So when Vojvodina or Crvena Zvezda score you will be able to watch the goal a couple of minutes later on this page. 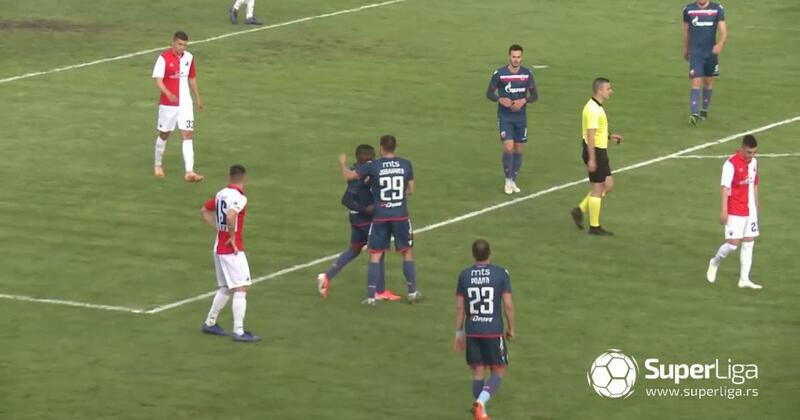 Full highlights of the match between Vojvodina and Crvena Zvezda include all the goals and other remarkable moments from the match. We will try to have different highlights from Vojvodina vs Crvena Zvezda with commentary in English, Russian, Portugese etc. We do not host any video file as all of the videos are discovered by our crawler on other websites like youtube or streamable. If you think the video infriges your copyright please contact the website which hosts it.